NASA and other private corporations are committed to sending humans to Mars in the relatively near future. After traveling for about 9 months to reach the Red Planet, those pioneering astronauts will want to get right to work with establishing the colony and exploring the planet. 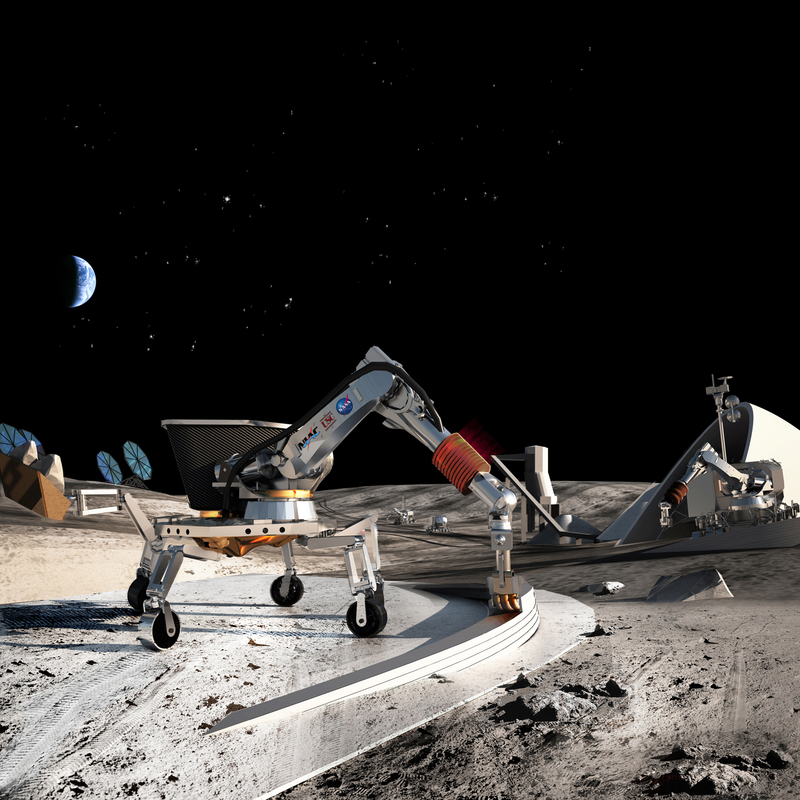 The process of getting settled in looks like it will be expedited, as robots are being developed that will build basic buildings and roads before astronauts arrive. Behrokh Khoshnevis, a NASA engineer from the University of Southern California, has been working for years on robots that can 3D print buildings by extruding concrete, and is leading the research to bring the technology to Mars. Khoshnevis’ method of printing buildings has been dubbed “contour crafting.” It works much the same way as traditional 3D printing, except the machines are much larger and instead of extruding plastic, it uses concrete. It is that building material that is currently posing the biggest challenge. Concrete recipes may vary, but it generally consists of course aggregate like rocks, fine aggregate like sand, a cement binder, chemical additives, and recycled materials. Soil on Mars has a great deal of sulfur content, about four times as much as Earth. Even with reformulating the recipe to account for the sulfur, the sand on Mars is much more coarse than on Earth and is not going smoothly through the extruders. Earth sand has been crashed around due to water and wind practically since the dawn of the planet, and erosion has left it feeling smooth and fine. While Mars does experience large dust devils, the Martian sand doesn’t undergo nearly as much erosion as Earth beach sand. The near lack of an atmosphere and weather on Mars does have some advantages, as does the highly reduced gravity compared to Earth. The 3D printed buildings will not need to withstand strong winds or gravitational pressure, which will add to the longevity of the infrastructure. Some of the first structures for humans that will appear on the surface of the red planet include “landing pads and aprons, roads, blast walls and shade walls, thermal and micrometeorite protection shields and dust-free platforms,” among others. 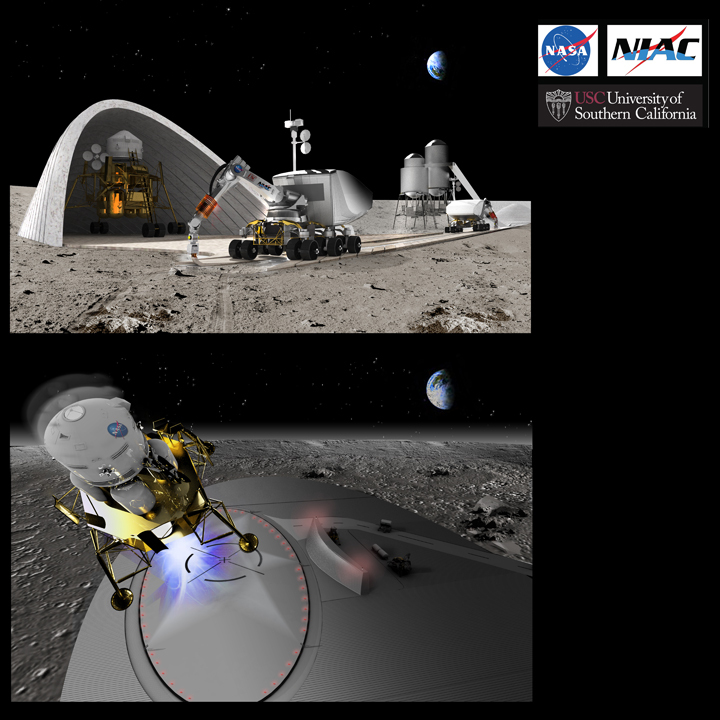 NASA hopes to use similar machinery to build infrastructure on the lunar surface, though there are similar problems with the lack of fine sand for concrete aggregate. NASA has not announced a proposed timeline for these 3D-printing robots to get to the Martian or lunar surface to prepare for astronauts. Mars One hopes to begin the permanent colony on Mars starting in 2024, while SpaceX is targeting 2026. There have been doubts about the feasibility of those timelines, however, and a manned flyby might be more realistic. NASA is currently hoping to have astronauts on the planet by the mid-2030s.